Sore feet can ruin any vacation — or the early days on a new job — or heck, early days of a new season while you re-break in all of your summer shoes from last year. Whatever the reason, there are a TON of affordable products and easy exercises you can use to help soothe tired feet. Today, we round up FOUR great products to help your sore feet feel better, including a few flexion exercises for tired feet and a great general circulation exercise. Ladies, what do you do when your feet are killing you? What work events make your feet the most tired (new shoes, networking events, giving presentations) — or are you in such a happy place with your shoes for work that it’s only shopping, museums, or other vacation-type activities that wear your feet out? A few tips at the outset: don’t forget to choose comfortable heels or flats, give the shoe time to air out in between wears (this also helps extend the life of your shoes), and use blister block and other products to help particularly with summer feet. Yoga Toes – I’ve had a pair of these for years and have gotten them for pretty much every woman I love (and my husband too!) 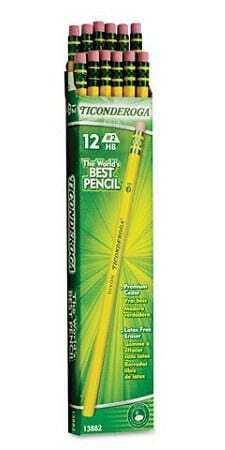 They’re a little weird but they feel great when they’re on. It’s a serious stretch, though — you may only be able to handle 5 minutes to start. (If Yoga Toes are too intense for you there are a ton of imitator brands out there, as well as things like toe separator socks, but it really is worth it to “practice” with Yoga Toes. A soak – If a bath isn’t in the cards, at the very least try to soak your feet in hot water with epsom salt for a bit. (Bonus: if you happen to be walking all day in sandals in a city, odds are good your feet are disgustingly dirty right now, so you can clean them off.) 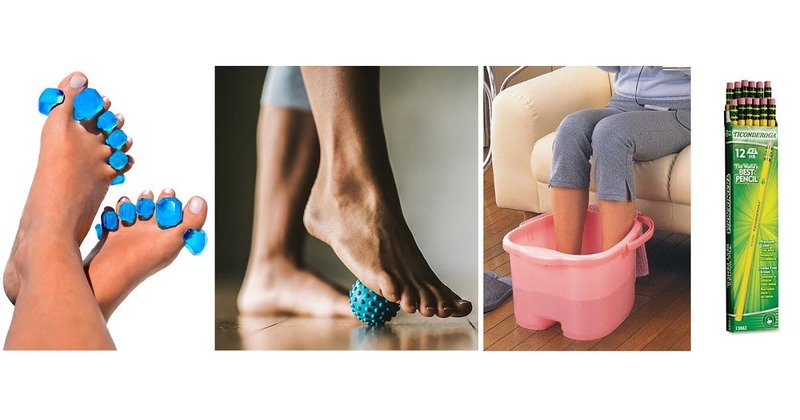 Amazon has a whole foot bath section (who knew?) but you can also just get a bucket (pictured) or even a $6 dishpan if your tub isn’t doing the trick. To help circulation in general: take off your shoes, then walk across the room on your toes — walk back on your heels. If you’ve been standing in one place for too long (networking, anyone?) this feels awesome. How about you, readers — how do you make your sore feet feel better, or otherwise soothe your tired feet? 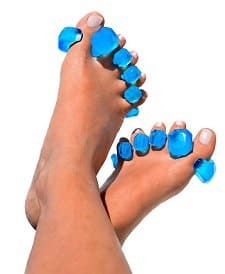 What products do you love — and do you have any exercises you do to help with flexion or circulation for your feet? Pictured at top: Shutterstock / Martin Novak. Kat, this is a VERY well written article. I live by the need to be comfortable with my feet, and if that means going to court weareing Nike Air’s with my suits, that is what I will do. Of course, that means I have to carry my pump’s in a bag, or have an associate do that for me, but now that I lost my associate, I have to carry my own pump’s. I am still on the lookeout for an associate capabel of carrying my pumps and redwells to court. I will hire a woman if she is competent and can carry this stuff for me. If anyone in the HIVE is experenced in NY WCL law and wants to work with me, let me know, as I have not had anyone respond to any of the headhunters yet. YAY!!! Use a golf ball to roll your foot around on. Or a frozen water bottle. The golf ball is small and hard enough to get to the small knots. The frozen water bottle is sooooo soothing. I p’osted all about my Nike Airs but that is not here! Where did it go? FOOEY! I like this subject because I don’t pay much attention to my feet until they are killing me. I am definitely going to have to try some of these. Two things that have worked for me are 1) wearing lower heels and sizing up a half size if need be; and 2) doing a restorative yoga pose regularly which probably has a proper name but I call it “legs up the wall.” It goes like this. Go home. Take off bra. Put on comfy pants. Lay on back. Put legs up wall, i.e. back of your legs against the wall, hips as close to wall as your flexibility will allow. Eventually the entire back of your legs will be against the wall, like your body is a big L. Look at the ceiling and try not to think about all the things you still need to do. Stay 5 mins or so. This also helps me with swollen ankles. I do this often when I’ve spent an entire day on a trade show floor, but add in a modification that I once read about: Depending on your flexibility, you can also slide your legs apart (still propped against the wall) as far as you can go, until you’ve got a V-shape. Something about this position flexes the muscles in your upper thighs, which also affects the arch muscles in your feet. I used to wear high heels everyday until I started training for a marathon and then I phased the heels out. The heels left my feet and calves too tight for an evening run and my balls of feet hurt every night. I switched to ballerinas, flat shoes, wedges and wear heels (Clarks brand only) occassionally. And my feet feel much better. Few years ago, I have noticed that my ankles swell during summer (prolonged sitting at work). For this, I like to prop my legs up (against a wall or rest on the floor and put my legs on a bed/sofa) for a few minutes, use compression socks/sleeves/tights and I started taking OTC medication to strengthen capilaries. I also take cold showers. I used the same routine after long runs to quickly revive my legs and feet and it worked. I also love a quick massage – eiher manual or simply rolling my feet on a small massage ball as described in the article.